The Product Strategy Blueprint is a design and product management tool to help you easily and clearly make, track and communicate design and product decisions. 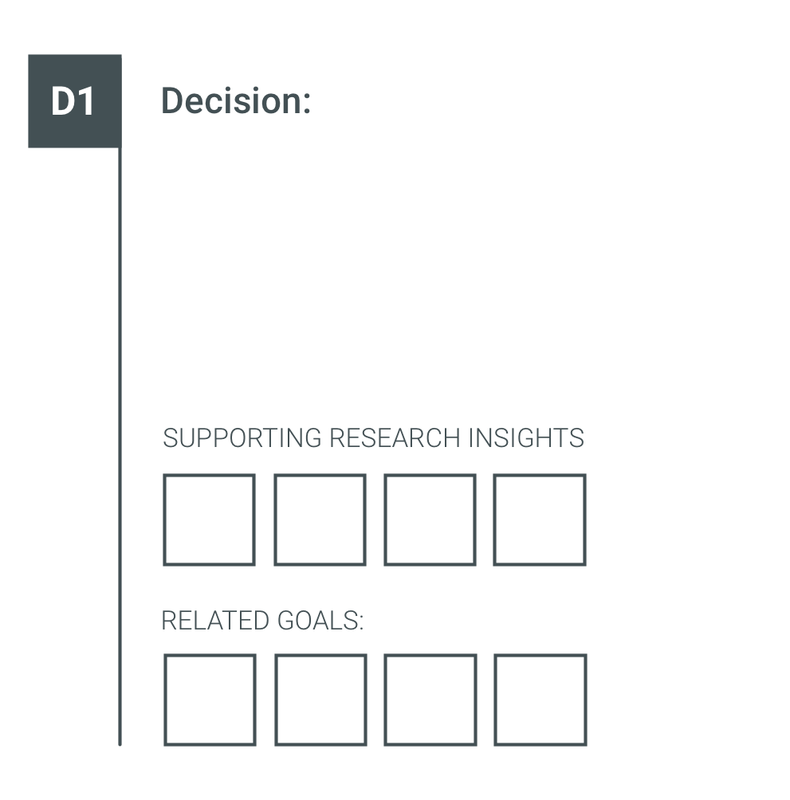 We made this tool to help you create a clear connection between your product goals, research insights and decisions you make. How should I use the Product Strategy Blueprint? 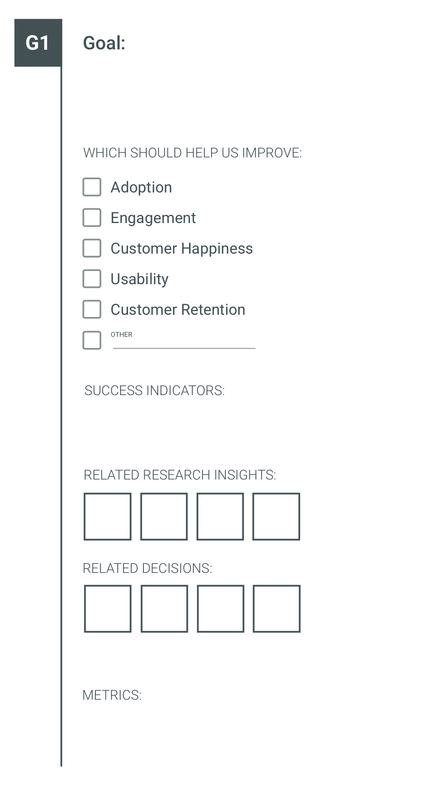 This free product strategy template has three parts; goals, research insights and decisions. Here, you'll add the goals you have for your product and user experience. You'll note, that it also guides you along in defining what the goal should help you and your organization accomplish with specific goal types and success indicators. This should give everyone on your team clarity around what you're trying to do and how we define success for the product, project and user experience. Write down every single insight from the user research you did on this project or product. You can even add the source (where it came from or research method you used). Finally, record any design, product or feature recommendations and decisions in this area. 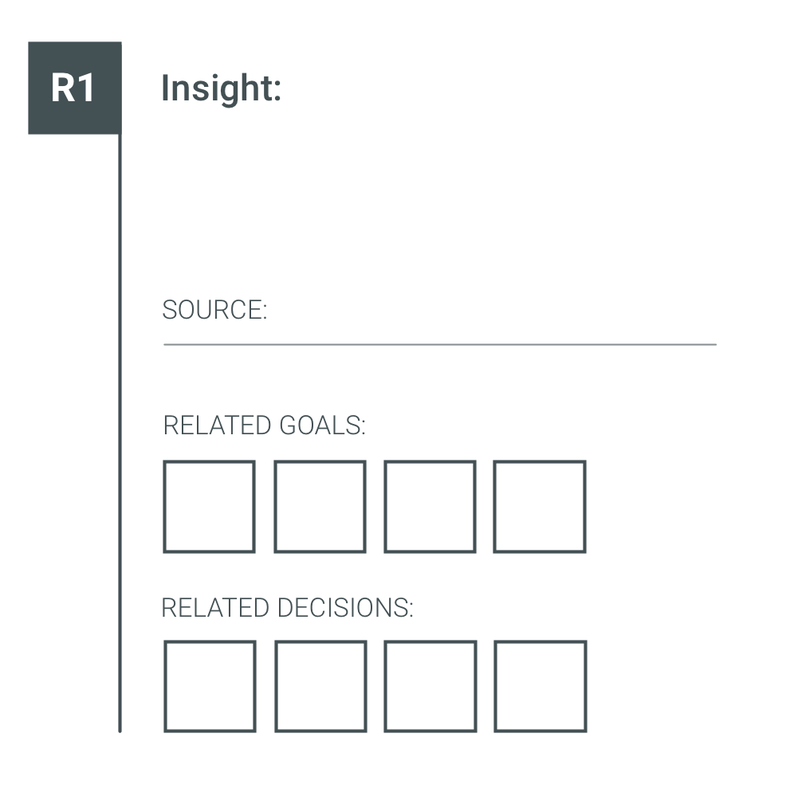 These are meant to be decisions or recommendations you're making that will not only help meet the goals you outlined (on the goals page), but to show how they are backed up by real user research insights you generated on the second page. As you can see, each page of the product strategy blueprint template has an area to make a connection to related goals, decisions or research insights respectively. Once you've made clear connections between your product goals, research insights and the design and product decisions, you'll have a great foundation to show anyone in your organization what the product strategy is! Solve the right problems, build products and features that matter. Enjoy!